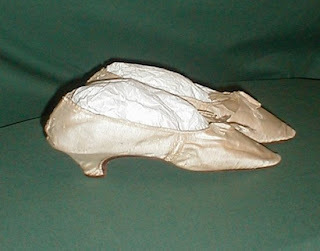 A rare pair of 18th century 1790-1799 beige silk straight shoes from the Bartlett estate in New England. 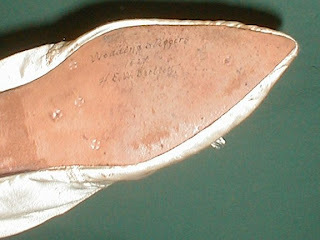 The shoes were passed down in the family and worn as wedding slippers in 1827 at the wedding of H. E. W. Bartlett. The front toes are trimmed with beige silk ribbon bows. The shoes have a low Louis style 1 ½ inch heel and long pointed front toes. 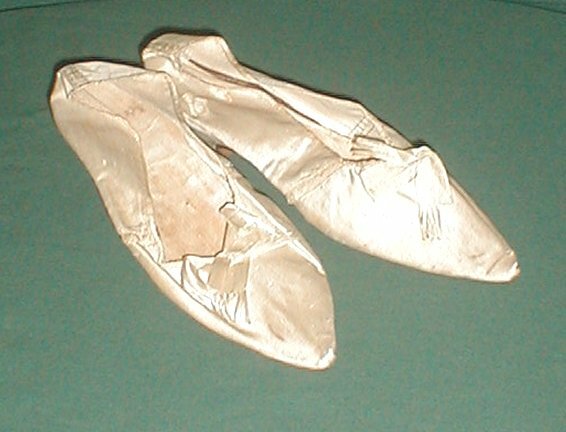 They are lined with linen. The opening is bound with silk. 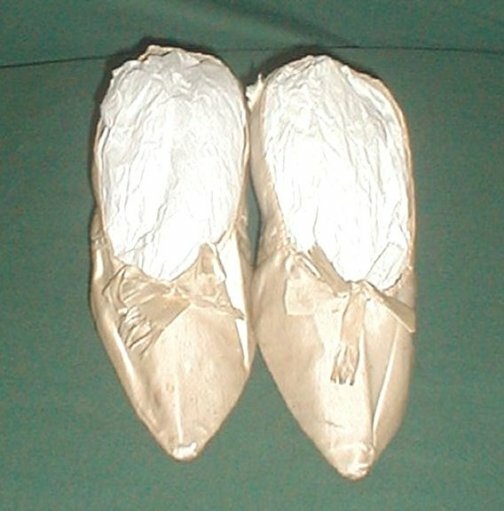 The shoes are in good condition. There is some light soiling and one shoe has three ½ splits on the back heel where the linen lining is exposed. A wonderful addition for an early shoe collection, Length 10 ½ Width 3 ½.
Ladies, please remember not to drool ON the shoes. Thank you! Yet more proof of normal sized historical feet. Those would fit me! 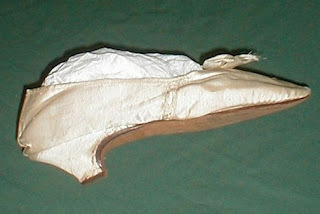 Also, that shoemaker took the easy way out on the shape of those heels. So much easier to shape silk around them when they're straight in the back.